OfficeSpace.com.au has serviced offices and coworking space in the Melbourne suburb of Malvern. Currently available for occupation at short notice, these workspace is offered on flexible rental terms without the long-term commitments and overheads of conventional commercial real estate leases. Our well placed cowork spaces, shared workspace and office suites are situated in prime Melbourne, VIC business locations and include a wide range of services and amenities. Malvern is just a few minutes away from the Central Business District and is easily connected to the rest of Melbourne by both a train and tram station. The Malvern Train Station and several tram and bus lines service the area. Business, property and health services are the strongest commercial sectors present. OfficeSpace.com.au provides companies of all sizes with professional executive office suites and office space solutions in Malvern, Victoria on flexible contracts to suit your needs. With an exceptional range of business support services and facilities included, your business can be assured of an easy transition into your new Malvern premises. Choose any of the offices or executive office suites in Malvern listed above. 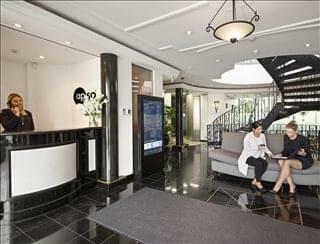 All of the office space listed on OfficeSpace.com.au is in prime business locations, and is available for immediate lease on flexible terms. In addition, we have an impressive selection of desirable office space in other Melbourne locations, available on terms to suit your individual business needs. For all your office requirements, contact us using the form above.